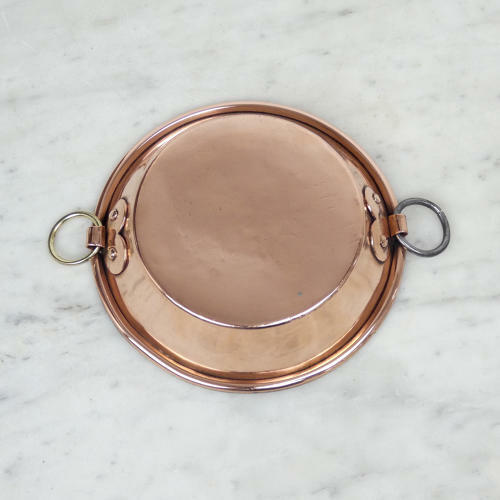 A small, circular, French copper gratin dish or pie plate. This piece is made from a substantial gauge of copper and it dates from c.1890. It has ring handles to either side, one steel and one brass, and these are attached by nicely shaped copper fittings. The piece has been re-tinned, so that it can be used, and it is in excellent condition.